This article attempts to extend current research and development activities related to the use of technology in problem posing, to early grades mathematics. It is motivated by the authors' work with elementary preservice teachers toward this goal, both at the graduate and undergraduate levels. New York State Learning Standards for K-4 mathematics serve as a background for technology-enabled learning. Spreadsheet-based environments designed by the authors (using Microsoft Excel 2004) are introduced from a tool kit perspective, enabling a meaningful combination of manipulative and computing activities by elementary preteachers and their students alike. Abramovich, S. & Cho, E. (2006). Technology as a Medium for Elementary Preteachers' Problem-Posing Experience in Mathematics. Journal of Computers in Mathematics and Science Teaching, 25 (4), 309-323. Waynesville, NC USA: Association for the Advancement of Computing in Education (AACE). Retrieved April 26, 2019 from https://www.learntechlib.org/primary/p/21121/. Abramovich, S. (2003). Cognitive heterogeneity in computer-mediated mathematical action as a vehicle for concept development. 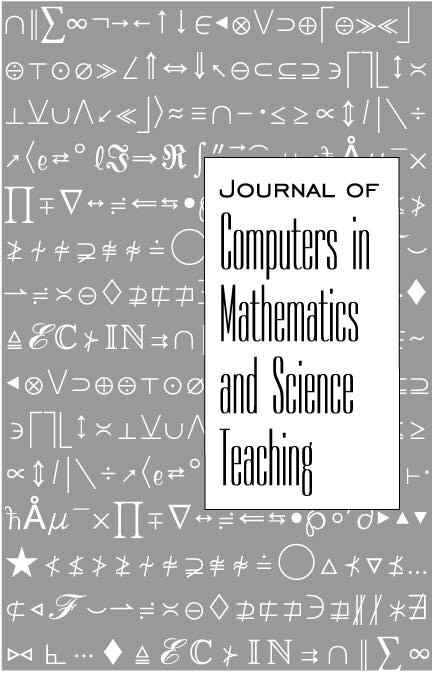 Journal of Computers in Mathematics and Science Teaching 22(1), 29-51. Abramovich, S., Stanton, M., & Baer, E. (2002). What are Billy’s chances? Computer spreadsheet as a learning tool for younger children and their teachers alike. Journal of Computers in Mathematics and Science Teaching, 21(2), 127-145. Ainley, J. (1995). Re-viewing graphing: Traditional and intuitive approaches. For the Learning of Mathematics, 15(2), 10-16. Clements, D.H. (2004). Major themes and recommendations. In D.H. Clements& J. Sarama (Eds. ), Engaging young children in mathematics (pp. 7-72). Confrey, J. (1995). A theory of intellectual development. Part III. For the Learning of Mathematics, 15(2), 36-45. Drier, H. (1999). Do vampires exist? Using spreadsheets to investigate a common folktale. Learning and Leading with Technology, 27(1), 22-25. Drier, H. (2001). Teaching and learning mathematics with interactive spreadsheets. School Science and Mathematics, 101(4), 170-179. Hoyles, C., & Sutherland, R. (1986). Peer interaction in a programming environment. In L. Burton& C. Hoyles (Eds. ), Proceedings of the Tenth International Conference for the Psychology of Mathematics Education (pp. 354359). Kilpatrick, J. (1987). Problem formulating: Where do good problems come from? In A.H. Schoenfeld (Ed. ), Cognitive science and mathematics education (pp. 123-147). NJ: Lawrence Erlbaum. Laborde, C. (1995). Designing tasks for leaning geometry in a computer-based environment. In L. Burton& B. Jaworski (Eds. ), Technology in mathematics teaching (pp. 35-67). Bromley: Chartwell-Bratt. Lotman, Y.M. (1988). Text within a text. Soviet Psychology, 24(3), 32-51. New York State Education Department (1998). Mathematics resource guide with core curriculum. Albany, NY: Author. New York State Testing Program. (1998). Sample textbook: Grade 4 mathematics. Monterey, CA: CTB/McGraw-Hill. Noss, R. (1986). What mathematics do children do with Logo? Journal of computer Assisted Learning, 3, 2-12. Piaget, J. (1961). The child’s conception of number. London: Routledge & Kegan Paul. Shimada, S. (1977). Open-end approach in arithmetic and mathematics: A new proposal toward teaching improvement. Tokyo: Mizuumishobo.